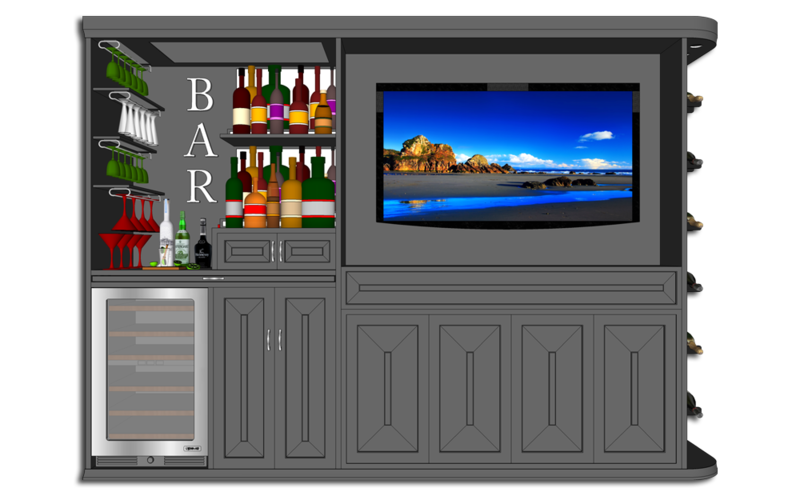 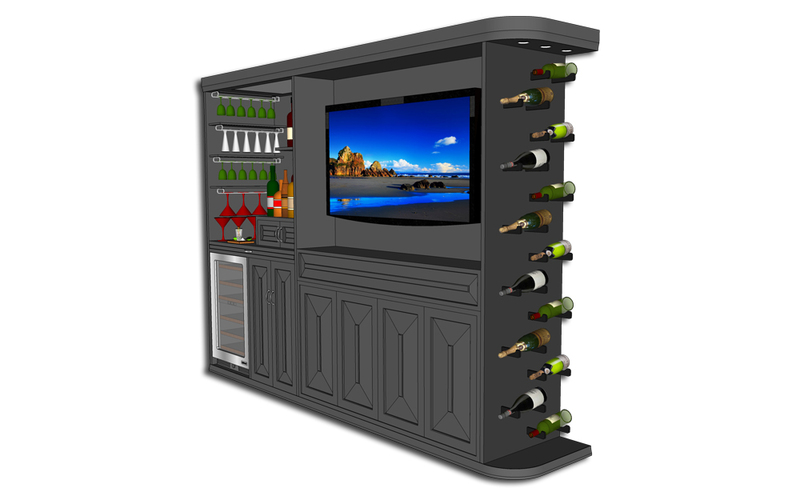 A modular designed cabinetry concept that incorporates a television and audio visual equipment into a multimedia center that also serves as a bar in any room. 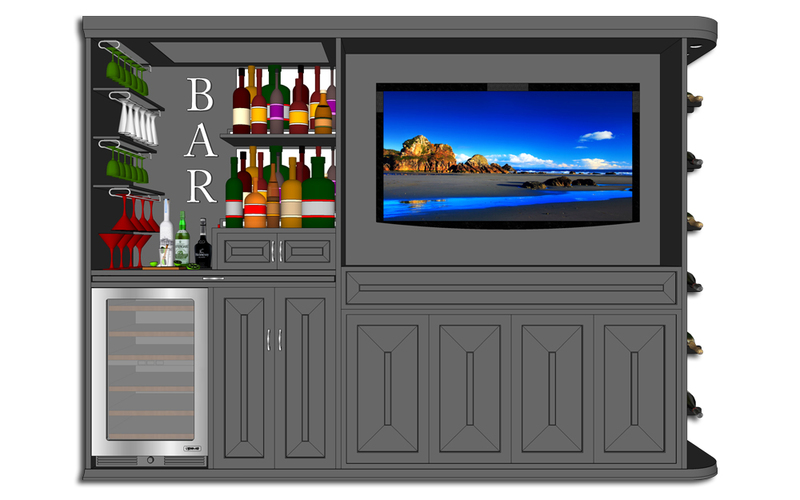 This concept has an integral wine rack built in to the cabinet side as well as a wine cooler, retractable bar counter, glass racks and shelving for liquor storage and display. 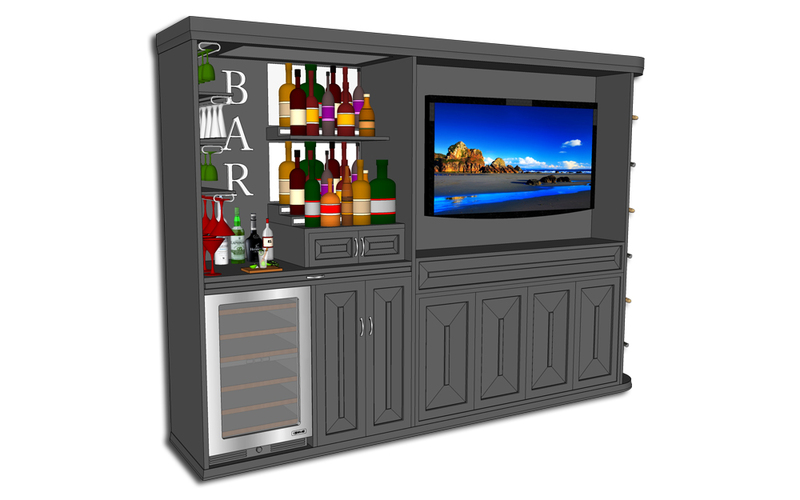 There is also plenty of storage and cabinets for audio equipment and all of the other things you need to stow away. 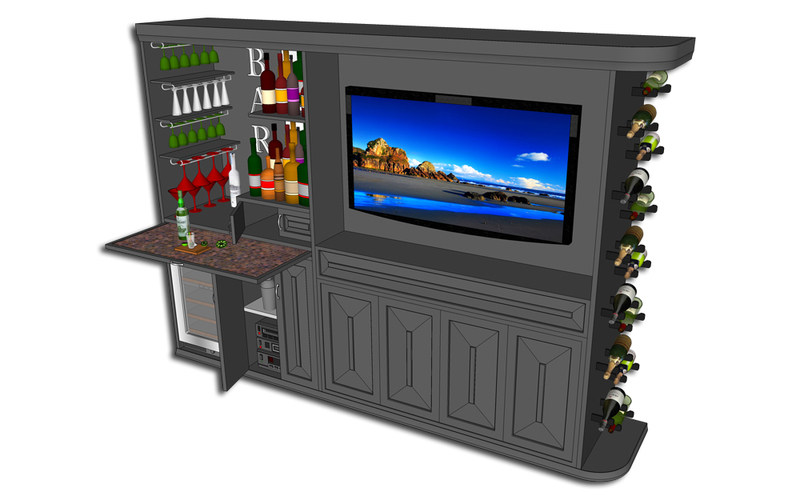 Make any room a great place to entertain and party, as well as just kick back and view a movie.